Are you or your child part of a sports team, club, or group? 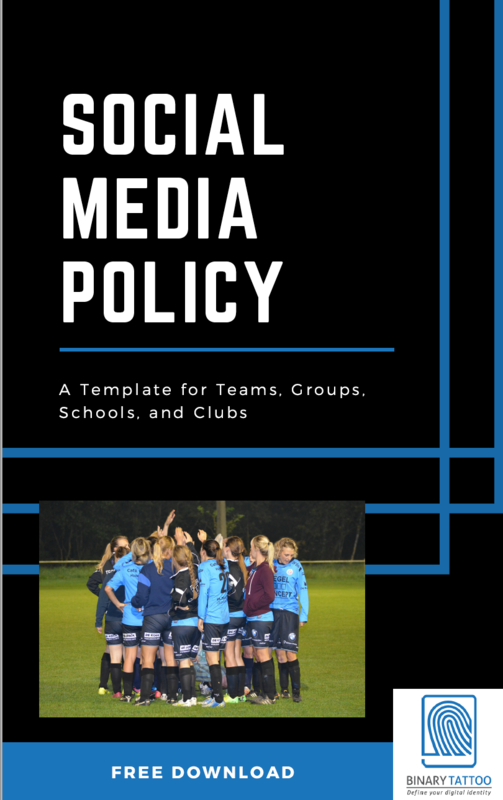 It is important to establish a policy to help set guidelines for posting on behalf of, and in reference to, members of the club. Simply enter your email address below to get your copy and join our mailing list. Your email address is being collected for Binary Tattoo only and will not be shared. You may opt out at any time. Need a more customized policy or looking for a social media policy for your business? We also do consulting for small and medium business, and are happy to help out. Contact info@binarytattoo.com for more information.